Motorcycles are an increasingly popular mode of transportation in the Lone Star State; More than 400,000 motorcycles were registered in Texas in 2014! Yet, motorcycle injuries and fatalities still occur at alarming rates. At Patterson Law Group, we understand that riding a motorcycle is a personal choice that includes additional risk factors not associated with other enclosed vehicles. Because serious injuries are common in motorcycle accidents, we’re dedicated to ensuring our clients get the most compensation when and if an injury or accident occurs. If you’re in need of motorcycle accident attorneys in Texas, don’t hesitate to give us a call. What kind of compensation can you receive after a motorcycle accident? After a motorcycle accident, you’ll want to first ensure your safety. Get out of the road to get away from the path of oncoming cars. After getting to safety you should check yourself for injuries and call 911. Document the accident and obtain information from the the other party. Exchange contact, license, and insurance information with the other driver. Take pictures of the damage to your motorcycle, as well as, any visible injuries. Do not throw away any damaged clothing or equipment. These objects can all be used as evidence. Medical treatment should be the first priority after any accident. Even if you don’t feel badly injured, you should still see a doctor. Sometimes the adrenaline rush that comes with an accident can mask pain or hide the severity of your injuries. Additionally, you should never skip receiving medical treatment because of the cost. Your attorney can send a medical provider a “letter of protection”, which will allow you to receive treatment that won’t be paid upfront (the cost is paid out of the final settlement amount). After receiving medical treatment, it’s important to contact a personal injury attorney for legal advice. Insurance companies will often try to use tactics to reduce and deny your accident claim. 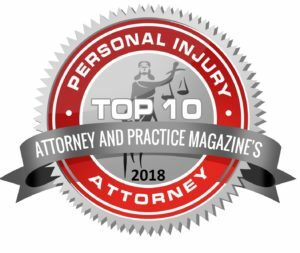 A personal injury attorney can review your motorcycle accident case to determine the true value of your claim and help you fight for what you deserve. You should not talk to the other party’s insurance or their lawyers before obtaining legal representation. If you carelessly say the wrong thing, it could reduce the value of your claim. Economic damages: Economic damages are quantifiable monetary losses. These losses could include medical expenses, lost wages, and property damage. Non-economic damages: Unlike economic damages, non-economic damages cannot be easily quantified. These damages could include things like pain and suffering from psychological injuries. Punitive damages: Punitive damages aren’t necessarily awarded because of something you lost as a result of the accident. In some cases, punitive damages are simply awarded as a way to punish the offender. Typically, the more serious the accident, the greater the damages. Liability and damages coincide and affect the value of a motorcycle accident claim. Who Can Be Held Liable In A Texas Motorcycle Accident? Motorcycle accident attorneys in Texas must consider liability and damages to properly value a motorcycle case. Liability refers to who was at fault, and whether or not negligence can be proven. Proving fault is our responsibility if we take on your case. There are a number of parties who may be held responsible for a motorcycle accident. The liable party/parties will depend on the nature of the accident. If the crash was the result of a negligent driver, than the driver can be held liable. In other cases, the accident may have been caused by a road condition or a motorcycle malfunction. Motorcycles are more susceptible to road dangers such as oil slicks and potholes. Other road dangers could include missing traffic signs or signals, uneven surfaces, debris, blind corners, and faulty guardrails. Any road design or maintenance flaws greatly increase the risk of an accident. If a road flaw was to blame for a crash, the government agency responsible for the road design and upkeep could be held accountable. Occasionally, a crash will occur due to an issue with the motorcycle itself. One of the most common defects for motorcycles are front wheels that wobble in high speeds. In these instances, the designer or manufacturer of the motorcycle or faulty part can be held liable. In 2015, 459 motorcycle riders and passengers died in Texas; more than 1,800 people suffered incapacitating injuries. Texas does not have a universal helmet law, which means riders 20 years of age and younger are required to wear a helmet, but riders 21 and older are not. So whether you choose to wear a helmet or not, Patterson Law Group is dedicated to helping motorcycle victims who have suffered injury, or wrongful death, as a result of another’s poor behavior while sharing the road. There are several factors that can increase your risk of injury in an accident. Factors include helmet use, motorcycle size, and alcohol. Texas laws do not require riders over 21 to wear a helmet. However, doing so can drastically reduce the risk of fatality or injury in an accident. In fact, studies have found that helmet use reduces the risk of head injury by 69%. Helmet use also reduces the risk of death by 42%. Larger motorcycles are typically more likely to be involved in an injury-related accident than smaller motorcycles. Larger engines allow for greater speed, which increases risk, but larger engines also increase the risk of head and thoracic injuries. Intoxication is a large cause of accidents for bikers. Alcohol not only reduces a driver’s vision and reaction time, but it also may lead to a lack of precaution. Motorcyclists who ride while intoxicated are less likely to wear a helmet. While every vehicle must adhere to the rules of the road, motorcycle riders are subject to additional legal guidelines. A normal driver’s license will not be enough to operate a motorcycle in the state of Texas. Motorcyclists are required to complete a motorcycle safety course and pass a written test. Texas does have laws pertaining to helmet use. Both motorcycle operators and passengers are required to wear a helmet that meets federal motor vehicle safety standards. However, individuals aged 21 or older are exempt from wearing a helmet if they’ve passed a motorcycle operator training course, or have at least $10,000 in medical insurance coverage. Lane-splitting, or the act of riding in between lanes is currently illegal in every state outside of California. In 2016, the Texas Senate introduced a bill to legalize lane-splitting, but the bill ultimately fell through. Motorcycle accidents are less common than car crashes, but they often cause more serious injuries to riders and passengers. The federal government estimates that motorcyclists are 27 times more likely to be killed in a crash per mile driven, compared to drivers of other types of vehicles. Common injuries suffered by those in a motorcycle accident include road rash, broken or fractured bones, brain injury, and death. 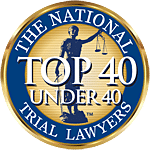 In the event of an accident, motorcycle accident lawyers in Texas act on behalf of the victim, or their family, apprising them of their rights, and aiding in various legal challenges. 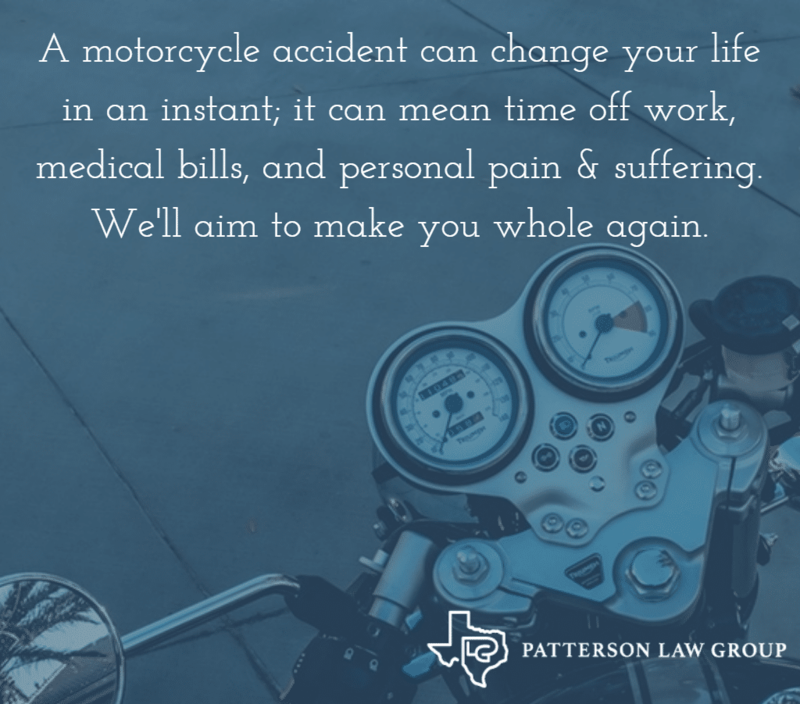 At Patterson Law Group, we help motorcycle riders get back on their feet after a motorcycle accident. This may include medical expenses, lost earning capacity, and ongoing medical needs or treatments. Hopefully, it will also include getting back on your bike! 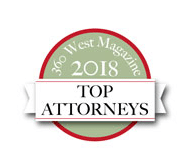 Patterson Law Group is always here when and if you need us. Tell us your story and we’ll give you the representation you need to make it through a terrible event. 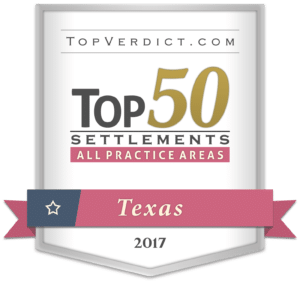 Contact Patterson Law Group today at 817-784-2000, or fill out the form on this page and we’ll get in touch with you shortly. Can I still file a motorcycle accident lawsuit if I do not carry insurance on my motorcycle? The state of Texas requires that motorcycle riders carry motorcycle insurance for their vehicles. You can still file a lawsuit if you were injured in an accident, but the courts may take whether or not you were insured at the time of the accident into consideration. What if my motorcycle accident was caused by a road defect? As smaller vehicles with only two wheels, motorcycles are more susceptible to road defects. Potholes, uneven surfaces, broken concrete, road debris, and more can all create a recipe for disaster. Injured cyclists can still file a claim in cases where hazardous road conditions were the culprit for the accident. Federal, state, or local governments can be held liable for poorly maintained roads. Does Riding Without A Helmet Reduce My Claim? Whether or not lack of a helmet could reduce your claim depends largely on the injuries you sustained. If you suffered a head injury, the lack of a helmet could be considered an unnecessary assumption of risk and could, therefore, reduce your claim value. However, if your head was not injured, the lack of a helmet will be irrelevant to your case. What are the most dangerous streets to ride in Fort Worth? Knowing where crashes occur allows drivers to be more vigilant when driving around dangerous intersections. Using this interactive map, check out where the most accidents happened in your area within the past 6 years.